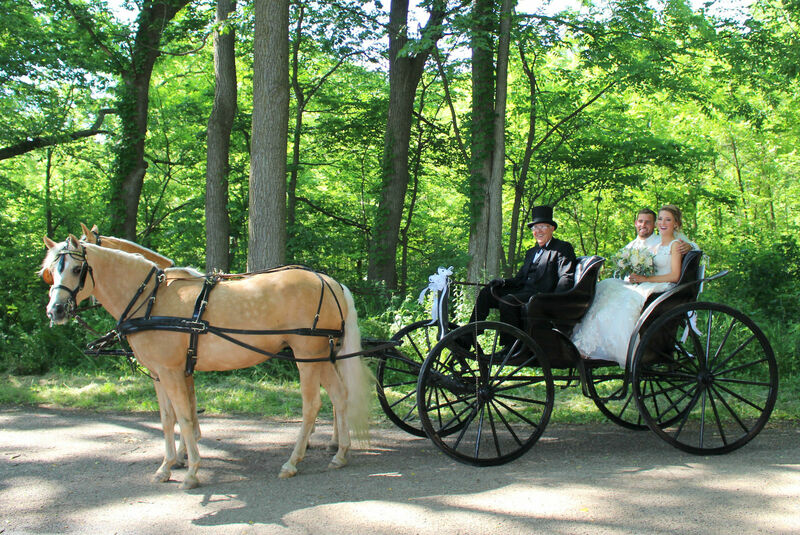 We provide carriage services for all kinds of events. Give us a call to see if we can help make your event a memorable one. Rocking L Acres is a small horse farm located about 5 miles southeast of Madison. Wes and Jane Licht work with their fine Morab horses, as well as training others, at their stables year round. Enjoy a unique Wisconsin winter experience with family and friends. Add a memorable experience to your wedding or special event. We're experts at training horses to drive and teaching people to drive them well. We specialize in training people to drive horses. We also provide riding lessons. Want to hire us for your equestrian needs? I have taken many lessons in the past, but the way you teach is a much more meaningful experience. Wes Licht has a magical way with horses…and the people who own and love them. My horse and I have come a long way in three years. Thanks Wes, I couldn’t have done it without you!